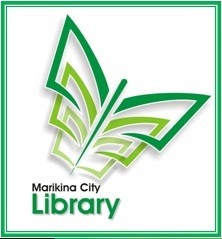 _The Marikina City Library started as a Municipal Library. It was established on Aug. 11, 1956 under the leadership of Mayor Gil Estanislao Fernando (father of former Marikina Mayor Bayani F. Fernando) – also widely known as the “Education Mayor” – with the auspices of the Municipal Government of Marikina and the Bureau of Public Libraries (now the National Library). It was then supervised by the provincial librarian. From 1956 to 1961, the Library occupied a small space at the Municipal Session Hall. The municipal government provided the office supplies and equipment, as well as paid the librarian’s salary. A total of P200 was given for its initial subscription. The Municipal Library started with 300 volumes of books allocated by the Bureau of Public Libraries. It also had basic furniture such as book shelves, a small table, and four chairs donated by civic-minded citizens of Marikina. It gradually grew through the generous fund appropriation of the municipal government of Marikina. To further enhance the Library’s services and facilities, the municipal government passed Resolution No. 18 on March 10 1962, reserving ample space for the Library building at Lot no. 100-B in Sta. Elena. Moreover, the Municipal Council of Marikina requested a pork barrel allocation from the national government, approved under Republic Act No. 2093 (P5,000) and 3101 (P5,000) for a Library building, with a counterpart fund of P10,000 from the municipal government. The Library transferred to a new building on Aug. 16, 1962. Its inauguration on Nov. 25, 1962 coincided with the celebration of National Book Week. The accessibility of the new location subsequently increased the number of Library users. Moreover, the Library’s collection of materials also significantly expanded. To further enhance the reach and accessibility of the Library, Barrio Libraries were established at J. dela Peña, Barangka, Concepcion, Parang, and Nangka. The undertaking was launched in cooperation with the provincial librarian, Barrio Council, and the Bureau of Public Libraries. In the years that followed, Marikina’s population increased as did the need for a bigger library. Hence, a bigger Library building was constructed on the same site on Nov. 28, 1988 through the assistance of the municipal government and Philippine National Bank (Marikina branch). The structure, which was housed on the second floor of the building, was completed in August 1989. During the incumbency of Mayor Ma. Lourdes C. Fernando (2001-2010), the Library underwent major developments. In recent years, it acquired a wide range of materials – from books, references, periodicals, and other publications to computer equipment for accessing information online. The Library’s new “home” strategically located at the West Grand Stand of the Marikina Sports Park along Shoe Ave., was inaugurated on May 20, 2005. The Library occupies a total of 700.62 square meters. _Reference Service: The librarian is available to answer questions regarding certain information and the nature and location of specific books/reading materials. Literacy Program: The library organizes year-round educational activities as part of its Literacy Program. These include storytelling sessions, puppet shows, basic computer class, film showing, educational games, "Marikina Children's Fun Day" (every Saturday), reading and comprehension skills enhancement projects (AcceleREAD, READiscover), and interactive ("CYBER E"). Orientation with school officials: entation on the Library’s facilities and services. The Library introduces its facilities and services to school officials through a comprehensive orientation. Marikina City First Library Hour via Radio ng Marikina, dzBF 1674 kHz: The Librarian regularly hosts a radio program titled “Marikina City First Library Hour” over Radio ng Marikina. The innovative program, which is believed to be the first of its kind in the Philippines, features a number of fascinating segments, including on-air library orientation and storytelling and “Book Talk” portion with the friends of the Library.